How to get there: In winter, the best starting location is the tourist hut Bessheim. Bessheim is located 30 kilometer from the small place Randsverk along Hwy. 51. 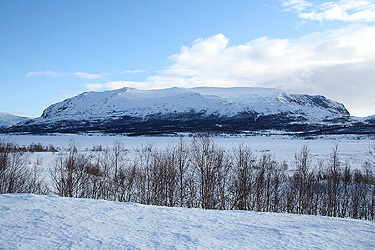 This road connects to Beitostølen and Valdres in summer, it is closed in winter, but kept open as far as the DNT hut Gjendesheim. From the south (Oslo), drive north on E-6, then take Hwy. 257 (left turn) at Sjoa. 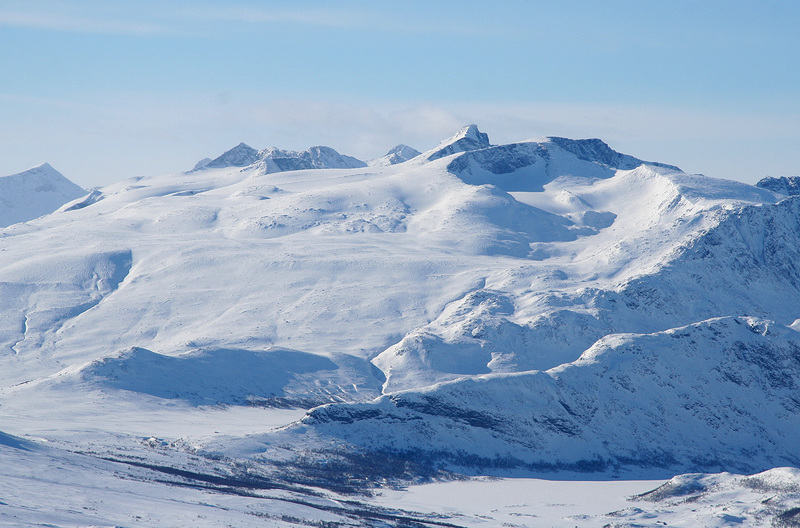 The distance from Sjoa to Ransverk is about 32 kilometer. Park at Bessheim, there is a parking area on the left side of the road. This location is N61:30.846, E008:51.187, elevation about 960 meter. Route description: Ski across the lake, hopefully there is a groomed track. The groomed track is likely to follow the same route as the summer path (marked on the map) to Sikkilsdalssætra. Follow this route to the col named Sikkilsdalsskardet, location N61:29.929, E008:54.318, elevation 1128 meter (GPS), (1120-1130, from the map), this is the key col of Sikkilsdalshøa. Turn left here and climb the broad ridge, then a slightly steeper slope to contour 1280. From here, the slope becomes more gentle, continue a little bit north, then turn east and continue up the very smooth hillside to the summit. 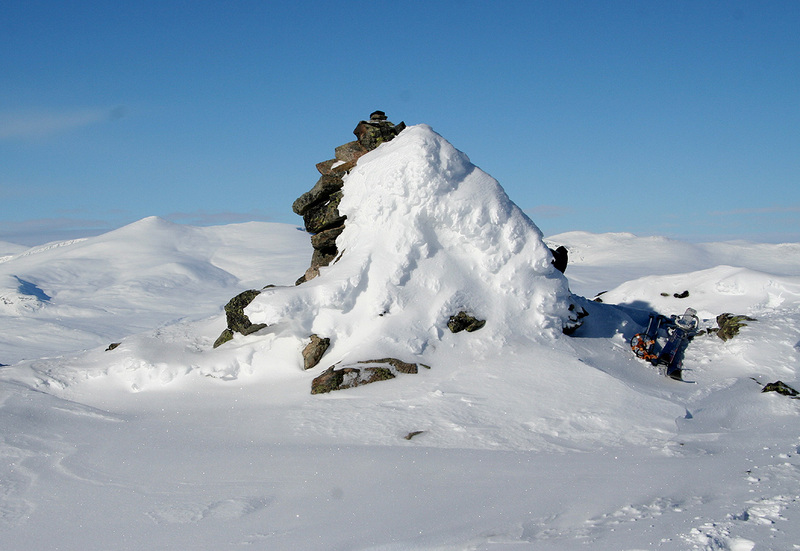 The highest point is near the south end of the summit ridge. Comments: The forecast posted in the evening called for snow and overcast weather. Since it is possible to navigate safely to this summit, I decided to do it despite the somewhat miserable forecast. After all, a few summits must be "fog summits", evidently this was going to be one. The morning looked like the forecast, it was snowing and completely overcast. The summits all disappeared into the clouds. I drove to Bessheim and started out by 0930. I was determined to follow the groomed tracks, hopefully to the tree line. However, the new snow obscured the trails, a single "fresh" track led across the lake. I followed it, but as it turned right on the far side of the lake, I realized that it went in the wrong direction. Back to yesterdays occupation, breaking trail in impossibly soft sugar snow. Hard work got me across to the snow covered trail that I should have followed. Unfortunately, at lake Hosketjønnin, I again lost the trail and returned to breaking trail among the birch trees. Near the col Sikkilsdalsskardet, I again detected the old (snowed over) track. From here, the snow was more wind packed and progress significantly easier. It had taken me 1.5 hours to break trail up to the col, The sun was now visible through the clouds, then at an amazing speed, the clouds all vanished and the wind also died completely. What an incredible change! I now had completely blue sky, no wind and perfect conditions. 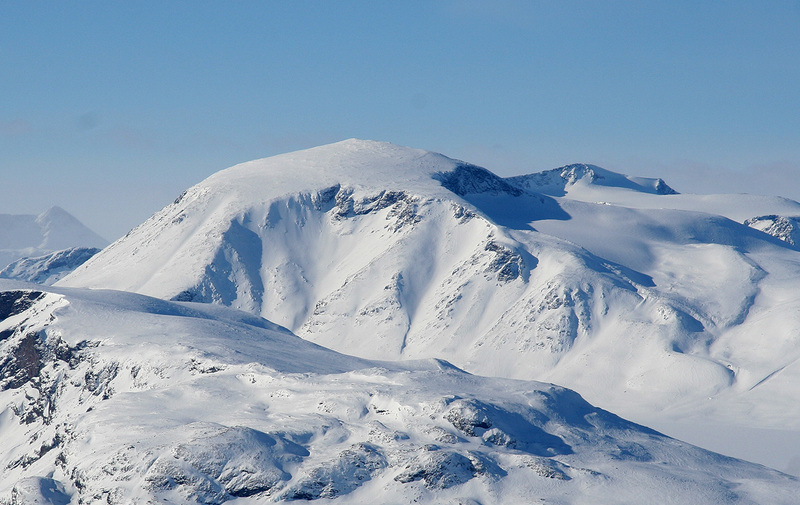 By 1245, I was on the summit and enjoyed the very good views of Jotunheimen. After 20 minutes, I decided that more time should be spent up here. I was completely alone, not a single other skier. 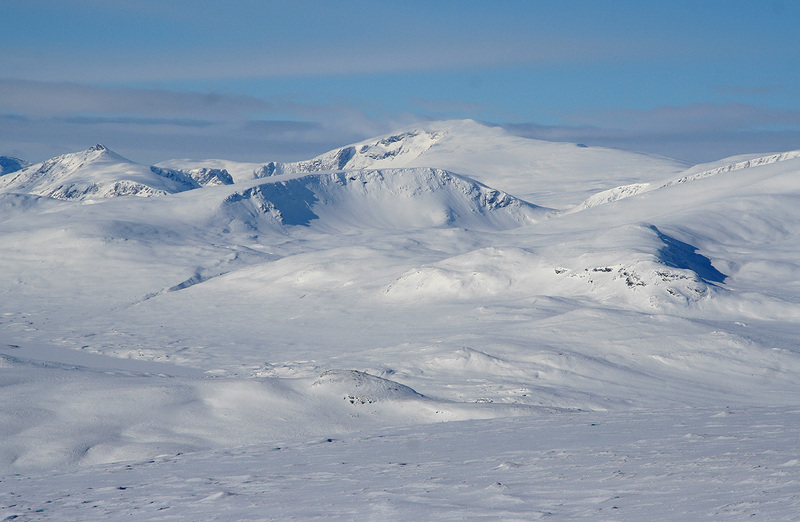 It seemed most reasonable to explore a route across to the nearby mountain Ingulssjøhøi. I left the summit at 1305 and reached my second summit at 1410. After a short stay of 10 minutes, I headed back home, reaching the car at 1600. This day turned out completely differently from all expectations, in fact the best day of my 5 day trip. I drove to Lom and treated myself to the luxury of a gourmet dinner as well as a room with full and free internet access. The weather tomorrow promised to stay equally good at least until 1400, I decided to drive to Grotli and try a ski climb of Skridulaupen.